Music by ok-Yin Lee, Adam Litovitz & Alia O’Brien. Octavio is dead is an intense and otherworldly cinematic experience, an unforgettable coming-of- age story following the journey of Tyler (Sarah Gadon), a fearful young woman thrust from her sheltered home in Toronto to vibrant and chaotic Mexico City. She sets out to learn about the dead father (Raoul Max Trujillo) she never knew, but to her dismay, discovers his ghost, trapped and unable to escape his apartment. They forge an uneasy bond, but by communicating with him, and learning about his tumultuous and secret past, Tyler discovers new ways to engage with the world, to seek love in unexpected places, and explore the Mexico City which her Lonely Planet guide could never tell her about. Sexual identity, the occult, and the power of will versus imagination confront her on the journey. 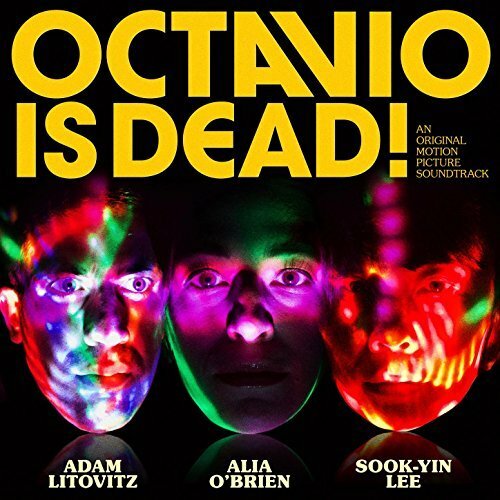 The movie soundtrack of Octavio Is Dead was released on June 15, 2018 by Last Gang Records.